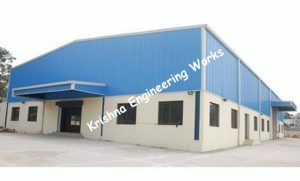 We have been successfully Manufacturing, Exporting & Supplying all types of Liner Rewinder Machine, Fabric – Re – Rolling Machine, Linear Drying Machine, High Efficiency Inspection Machine / Batching Machine, Material Handling System, Automatic Guiding System, Cooling And Heating Drums, Hydro Pneumo Web Aligner System since last 25 years from Ahmedabad, Gujarat, India. We are winner of 3 times National Award and 2 times International Award for Quality manufacturing. KEW Manufacturers, exports & supplies Tyrecord & Technical Textile Machines with high production output & efficient edge guiding function with more than 4000 installation in place all over India and overseas like Gulf Countries, Saudi Arabia, UAE, Dubai, Sharjah, South Africa, Nigeria, Ghana, Congo, Kenya, Zambia, Sri Lanka, Bangladesh, Malaysia, Pakistan, Nepal, Russia, Thailand, Indonesia, Brazil, Colombia, Venezuela, Argentina, Mexico, Canada, America, etc. making us the biggest manufacturer, exporter & supplier of Tyrecord Machines.